With competition at its highest, you need to stand out from the crowd with a stellar executive resume that not only highlights your skills and experience, but also illustrates how you are the ideal match for the specific position for which you’re applying. To do that, you must ignore the resume tips that plague the recruiting industry — and go straight for the jugular. Keep in mind that even at the executive level, your resume is merely an introduction. Its purpose is to land an interview; it is not designed to get you the job. So it must make an impact and leave recruiters hungry for more. A resume is a teaser, a trailer, an appetizer before the main course — you. 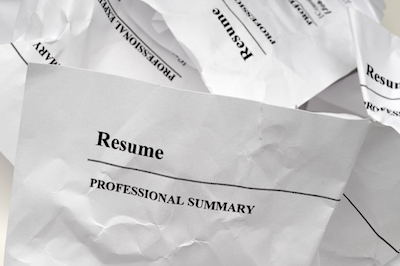 The days of one-resume-fits-all are over. And if you’ve been advised to follow some sort of pre-determined template to create your executive resume, then you’ve been sorely misled. If you’ve done your homework and decided that this is the next right move for you, don’t hold back. Place the job (and the company) in the crosshairs of your career path. Create a resume that’s targeted and specific enough to hit the bull’s eye. Thoughtful planning, careful editing and creative writing can turn those tired old resumes into seductively persuasive documents that open doors. Make an immediate impression that won’t be ignored. Human resource departments exist as gatekeepers. When your executive resume passes their test, CEOs, CFOs, COOs and board members will read it next. 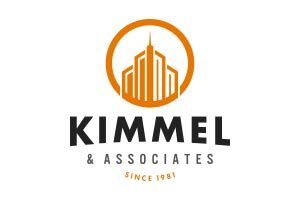 You may believe that the executive status of a position compels employers to spend more time reviewing potential candidates when in fact 32% spend only three to five minutes scanning resumes. Another 24% of hiring executives spend fewer than two minutes screening each resume. It may actually be closer to 6 seconds! With such little time to make an impact, you need to be sharp and to the point — quickly. So here are 10 executive resume tips to get you noticed in a short amount of time. 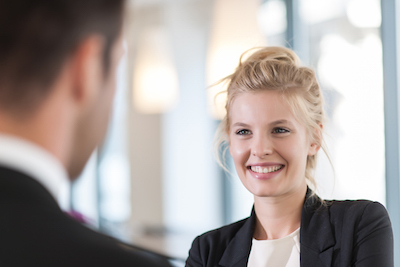 These tips will help you land an interview, where the true hiring decisions are made. Summarize what you can offer the company. Lose the objective statement, which typically is about what you want, and replace it with a summary of what you can do for the organization. Illustrate how you’ll add value with positive statements such as increasing ROI, improving project flow, motivating sales staff or smoothing regulatory compliance. Focus your executive resume consistently throughout the document. Resume tips that call for you to list all your previous experience and skill-sets in different industries often water down the points you need to make with a specific employer. This is why you need to tailor your resume for every job — so that you can zero-in on just the relevant facts that you want this employer to know about you, your skills and your experience. Clean up the copy so your executive resume is easy to read and scan. Resume tips that insist on perfect spelling, grammar and layout never go out of style. In addition to making no errors, use consistent fonts throughout and reduce the amount of fancy formatting. Your goal is to help your reader focus, not create visual distractions. Use a hybrid format that allows you to focus on the highlights of your achievements and experiences, making it both functional and chronological. Indicate specific achievements at the top. Follow it with relevant positions that add context to your successes. Stick to two pages, three at the most if you need to list a slew of credentials. Remember that you’ve got less than two minutes — some say as little as 20 seconds — to make an effective first impression. You can always send your credentials as a separate document. Once you land an interview, definitely take a hard copy of your resume as well as your credentials with you to the interview. Leave out the fuzzy, overused industry lingo. This Forbes interview with Tony Beshara, author of Unbeatable Résumés, gives resume tips includes words and phrases such as “customer-oriented,” “creative” and “excellent communications skills” as prime examples of wasted space. Make it past the gatekeepers in HR and in the computerized recruiting software by using keywords that come from the job posting, the job description, and company’s mission statement. Unless you hand-deliver your resume to the decision-maker (with whom you have a relationship or a really good referral), all the resume tips in the world won’t help you if your resume is tossed out during the first round of reviews. The purpose of any resume, especially an executive resume, is to get you in the door for an interview. While your credentials and promises may win you a chance at getting the gig, it’s your personality and your ability to fit in with the company’s culture that will get you the job. No amount of resume tips can make up for a bad interview. So when you get that call, be prepared, put on your best face and deliver the goods.